18 May 2018 --- French specialty ingredients company Seppic has launched Sepibliss, a nutricosmetic active ingredient dedicated to reactive and sensitive skins. Sensitive skin is a global and growing problem due to multiple aggressions such as pollution, weather conditions, emotional stress or food habits. Sepibliss aims to handle this concern in a new innovative way, by soothing these reactions by oral route. 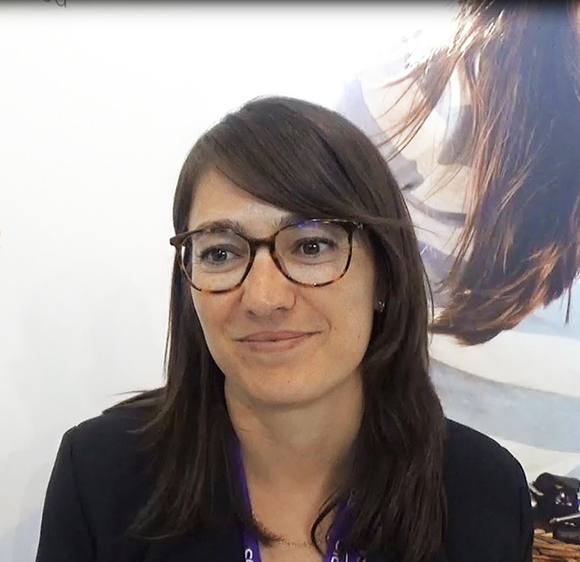 “We have seen that sensitive skin is becoming a bigger problem around the world, so we wanted to offer a natural solution to this type of problem,” Claire Notin, Marketing Manager Nutrition at Seppic, tells NutritionInsight at Vitafoods Europe 2018. Claire Notin, Marketing Manager Nutrition at Seppic. Once formulated in a dietary supplement, Sepibliss aims to soothe the feelings experienced by reactive and sensitive skins (such as irritations and redness) on the face and the whole body. “To our knowledge there is no branded ingredient targeting the symptoms of sensitive skin,” Notin says. The ingredient has two types of protective actions against outside aggravators, Notin explains. The first is an antioxidant effect, thanks to the vitamin E and the phytosterol content of the product, while the other is aims to reinforce the physical barrier of the skin, thanks to the linoleic content. “Next to the protective action, the ingredient has a soothing action. This means that it reduces the way the skin cell reacts to aggression,” she says. According to the company, Sepibliss answers the current expectations of the consumer: natural solutions, traceability and local sourcing. Made without additives, Sepibliss is a 100 percent virgin coriander seed oil, extracted without solvent and manufactured locally in the South West of France. The second benefit of using an oral supplement over a topical cream is that it ensures a “global” effect, reaching parts of the body that a cream may not reach, such as the scalp. “We are proud to propose the first nutraceutical active ingredient designed specifically for sensitive skins. This launch confirms the pioneering role of Seppic in nutricosmetics, supported by our expertise in skin biology and our knowledge of the cosmetic market,” Notin concludes. 10 May 2016 --- SEPPIC will launch their SEPIFIT PROTECT, an ingredient dedicated to muscle recovery and protection, at Vitafoods Europe 2016 in Geneva. 24 May 2012 --- To support its customers in the formulation of their new products, a new sales team and R&D resources are now fully dedicated to nutrition.